SOLERA joined COFME on January 10th as a strategic alliance. 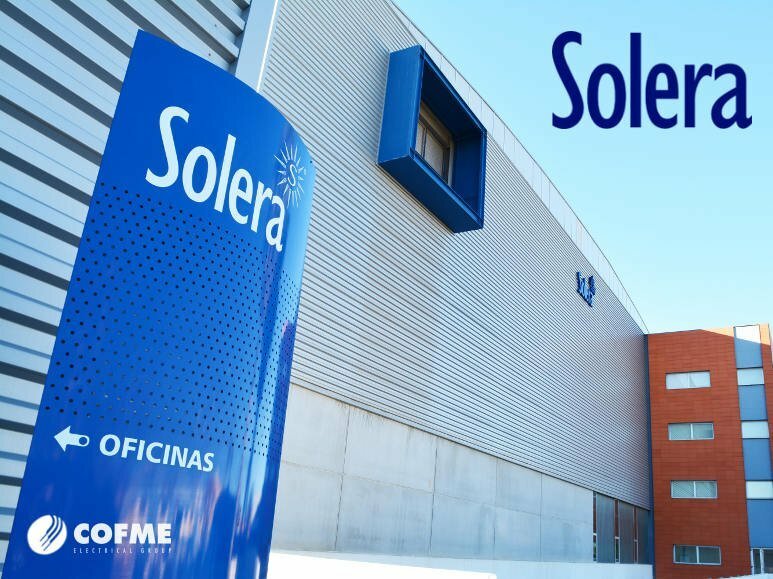 SOLERA, S.A., headquartered in Paterna (Spain) and established in 1967, is an outstanding national reference in the field of electrical enclosures and mechanisms. The company has two factories, with a surface of more than 30.000 sqm. It has a very dilated activity in the national market. It also strengthens its presence day by day at an international level thanks to the quality of its products, backed up by certificates from the most prestigious certification entities: AENOR, APPLUS, UL, Intertek GS and, more recently, the TÜV Rheinland Certificate for the series Europe. Its commitment to COFME as a strategic business alliance of reference in the electrical material sector continues to drive the presence of COFME in international markets. The COFME Group consists of eight Spanish leading manufacturers in the field of electrical equipment: CELO-APOLO, DAISALUX, FERMAX, SACI, SALICRU, SODECA, SOFAMEL and SOLERA.